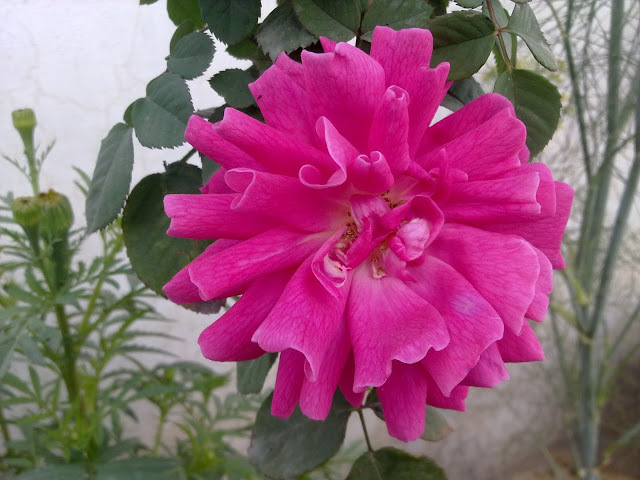 The pink rose starting to bloom. The rose at the fullest of its bloom. 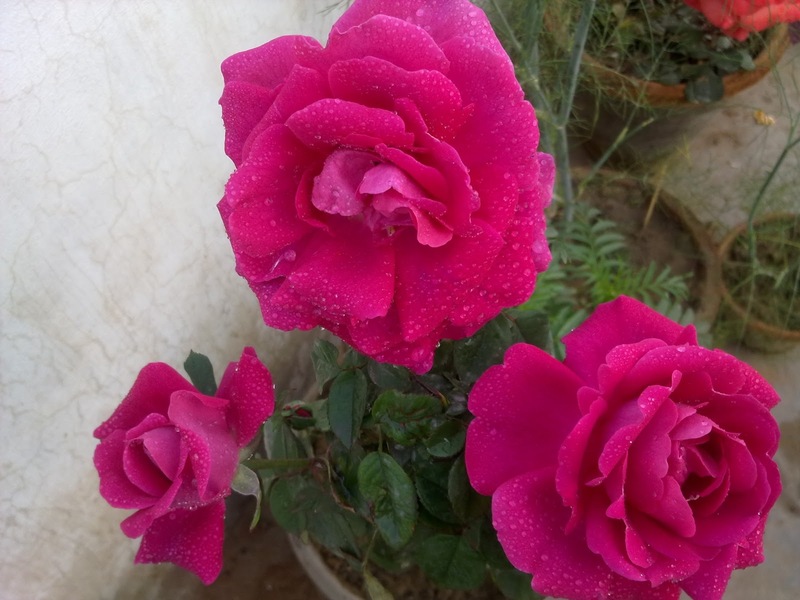 The beauty of this rose is that when it starts blooming, it blooms in bunches of three or four. 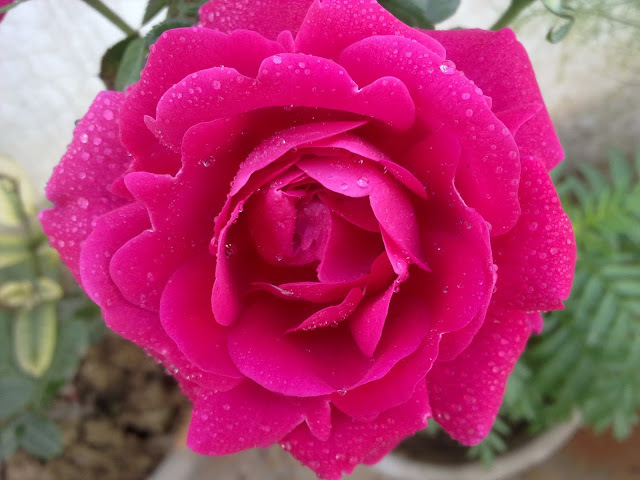 Three or four flowers bloom at one go. 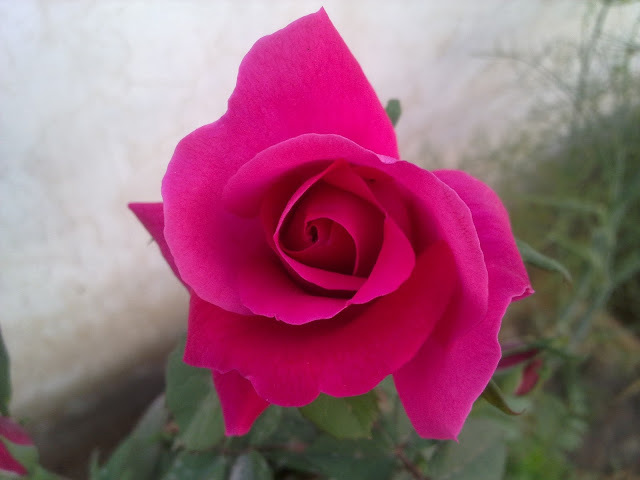 That's the beauty of this cultivar. And. Even towards the end of its lifespan, it's a beauty to look at.